They asked me if I was stressed or if I was getting bullied at school even though the left side was protruding out. They just didn’t believe that I was genuinely in so much pain, so I went to the A&E. While at the A&E I had my chest listened to and was sent straight for an X-ray. When the results came back I was told that I had a partially collapsed lung on the lower left side and that there was fluid surrounding this area. I was so relieved that now they knew that that I wasn’t just making this pain up and that there was genuinely something wrong. I was then later transferred to another hospital where I I was given an ultrasound of my chest and stomach, to find out why there was fluid on my lung. When the results came in they then told me that I had a mass that may or not be cancerous. I was then transferred to Manchester Children’s Hospital. As soon as I got there I was told I would have a biopsy of the mass to find out exactly what it was My biopsy results confirmed it was cancerous, in fact a rare form of bone cancer (Ewings Sarcoma). I genuinely don’t think it sunk in that this was real. The first thing that went through my mind was, what was I going to tell my friends? all the other things didn’t cross my mind like my hair falling out or whether my cancer was curable. I had many tests and scans to see whether or not my cancer had spread anywhere. Luckily it was just in the one area. I began my treatment immediately. My first round of chemo wiped me out. I was sick, I couldn’t eat, I didn’t want to eat as everything I smelt made me want to vomit, I was also given a sedative while on the chemo to relax me but this just knocked me out and I don’t really remember a lot about my first 6 chemo. I was always feeling sick having so much medicine and fluid pumped through me and just wanting to lie in bed and be left alone. After going home and thinking this was it for another two weeks I spiked a temperature and had to be taken back in on IV antibiotics. Being neutropenic with no platelets and no blood only meant nose bleeds and I was so pale I almost blended with the white bedding. I was given platelets and blood to bring my neutrophils back up. But the side effects of the chemo had started. Mucositis, nausea, unable to eat because it was so painful. At the time of my third my hair was slowly falling out and as soon as I saw this I was like “GET THE CLIPPERS” I was not letting my hair slowly fall out I just wanted this gone. Already knowing that it was going to fall out I just wanted it all cut off. This was the start of bald Mel. I was given a wig but never really wore it and decided to embrace the baldness. In March 2105 I was asked to take part in Runway on the Runway fashion show at Manchester Airport. This proved to be a challenge, as I didn’t get to all the rehearsals because of my treatment but I managed to model on the evening alongside an amazing group of other young people who have been through cancer treatment. I even modeled without a wig to show everyone that you can still look great without any hair! 30 sessions of radiotherapy were next- I was told that I'd get some side effects from the radiotherapy but apart from the skin burning easier in the sun I didn’t really get any side effects from the radio. Between my next lot of chemo I managed to go to my prom after delaying my chemo I managed to go through doing the Cinderella Project. And rocking the bald look. The hardest part about going through chemo was knowing that the world outside was still carrying on. Seeing friends out partying and being asked to go places but can’t because you’re stuck in the hospital. Losing weight, losing the hair, eyebrows and eyelashes not really feeling feminine anymore (especially being called a boy numerous times doesn’t help) also it felt like nobody really understood what you were going through so even then you felt alone, even though family were there through everything, they didn't actually experience it like I did. So when people would make the comment I understand what you're going through just made you think do you really? Also another hard thing about being on chemo was that a lot of the friends I had met while on treatment sadly passed away which was hard for me to watch. Watching and wondering whether or not that was going to be you. Having gone through this, and experiencing this every pain or ache that happens now makes me wonder has it come back will I have to do this all again, I don't think my body can take another round of fighting. I feel I was very positive throughout my treatment and anything that was thrown at me I took on the chin, I took part in many research trials so that this would help find a cure. I think the main reason the family stayed together and didn't break apart was being positive and bringing a little humour in to the whole situation. We got through such a tough time and a very special bond between me and my mum was formed. I never thought that we would ever be this close. One Saturday morning I went to work as usual, as a trainee hairdresser. After feeling quite ropey and just generally unwell for about three weeks, I wasn’t surprised when I was told quite a few times by my manager and my team to go home to bed. Still, I thought I'd stick it out and that feeling poorly would eventually pass. By the end of the day I felt so unwell that I called my sister to pick me up from work. I didn't feel like I could even face the walk home! We were supposed to be going out that night for dinner and drinks in Manchester but instead agreed to just get a take-out and stay in as I wasn't feeling 100 percent. As soon as I got in the car and showed my sister the egg -sized lumps on my neck and we agreed that I needed to go to the hospital, as it was a Saturday and there was nowhere else to get checked out. We made our way to Accrington Victoria and navigated the corridors until we arrived at Minor Illnesses. I spoke to the receptionist on the desk who took one look at the lumps on my neck and we were in with the doctor within 10 minutes. The doctor examined me, made several phone calls and gave me a referral letter and strict instructions to head straight the Surgical Triage Ward at Blackburn Hospital. So that's what we did. Once I arrived I had another examination, which was a camera down my nose to look at my throat as well as blood tests. Looking back, I had no idea how serious the situation was at this point and my sister and I were even taking selfies together whilst waiting for my blood results to come back from the lab! It then became a very long night, after my blood work came back I found out that the results were not good, although we didn't know it was cancer at this point. I was admitted that night and given a room on the Oncology Ward. It was around 5am when the doctors and my sister left me to get some sleep on that night. Little did I know it would be the first night of over a month in hospital. After spending the Bank Holiday weekend at Blackburn Hospital, I was then taken to Blackpool Victoria where they performed more extensive tests. It was in Blackpool that I found out that they suspected that I had Leukaemia or Lymphoma. I remember being told that this was be the suspected diagnosis by the Doctor so I asked about the course of treatment that would be required if that was the case. I wasn't really even sure what Leukaemia or Lymphoma was and also how chemotherapy worked. At 18 I'd never been exposed to anyone with blood cancer and had really limited knowledge about cancer and its treatment in general as it just wasn't a topic I had had any previous exposure to or would discuss with friends. I opted to transfer to the Young Oncology Unit (YOU) at The Christie in Manchester where it has specifically designed areas for teenagers and young adults up to the age of 24yrs and which the Teenage Cancer Trust helped design and where they provide specialist nursing support. I was very impressed by the facilities and the support that they could offer me, so, after researching The Christie and Teenage Cancer Trust online, I decided that it was without doubt the best place I could be. It was at there that I received my diagnosis of Acute Lymphoblastic Leukaemia and began my chemotherapy regime. I also had other procedures there too over the course of the following four weeks such as blood transfusions, bone marrow biopsies, lumber punctures, alongside the daily blood work and cocktails of medication I had to take throughout the day. I mainly spent my time resting and making the most of my Netflix subscription. Looking back at my time at The YOU I now realise how poorly I was – I would get exhausted from just sitting up and getting out of bed to change my clothes in the morning. I am so lucky to have had the support of my family and friends as there wasn't a day that went by when I didn't have visitors; from work friends, school friends, and family. I remember having so many 'get well soon' cards and balloons that it got to the point where there was no more room on the window sill that ran the length of my room! It was at the YOU that I shaved my head and gave my beloved top knot the chop. I'd began chemo and knew I would lose my hair so one of my best friends brought their clippers and took it all off! I stayed there for a month until my bloods were coming back as stable and I was well enough to become an out-patient for the rest of my treatment. I know I'll probably be admitted to The YOU because again at some point, as I have a long road ahead and I visit almost daily as an out-patient to have chemo, lumber punctures, bone marrow biopsies and different drips and transfusions. I have so many fond memories of my time there thanks to the brilliant doctors and nurses and all my friends and family who made the best out of a bad situation and made me smile when I didn't think I could. 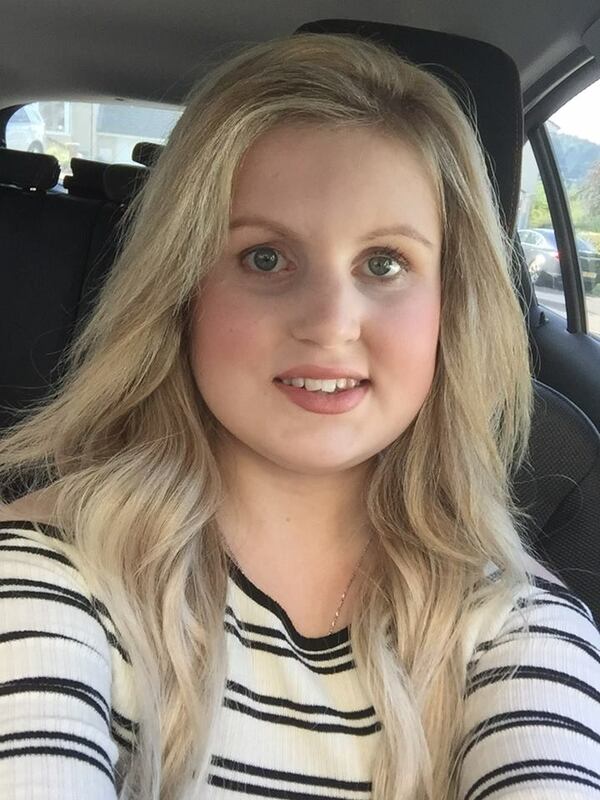 "I was diagnosed with Medulloblastoma (a brain tumour) which measured at a massive 5x4.5 cm diameter on the 2nd of October 2011 at the age of 13. I was successfully operated on and the tumour was fully removed the very next morning. Directly following surgery I underwent both 6 weeks of radiotherapy as well as 48 weeks of chemotherapy. Following the brain surgery I was diagnosed with a rare condition called Posterior Fossa Syndrome which has affected my balance and coordination. 5 years post surgery I am still battling to regain my ability to walk independently due to the PFS. Soon after surgery they discovered that the fluid in my brain, which is called cerebrospinal fluid (CSF), was building up and applying pressure to the brain which can be very dangerous if left untreated and so I then had further head surgery to insert a VP shunt to help drain the fluid. During the time I was in hospital I had a very difficult time. I caught a number of very serious life threatening infections including pneumonia, meningitis and sepsis. Although I never had any swallowing difficulties which is very common with children with my diagnosis, I was unable to eat or drink for 3 years and had to be fed via a gastrostomy tube which was located directly into my stomach. Although I missed almost 2 years of my high school education as I was too ill to attend at the time, I later rejoined and stayed in the same year I would have normally been in and managed to successfully achieve four GCSE's. After high school I went straight into sixth form college and achieved a double award A-Level. I am very pleased to say that since the end of treatment all of my routine MRI scans have come back clear. The treatment I received for my brain tumour was harsh and has had a very negative effect on my body, leaving me with numerous health conditions. I am a survivor who still battles daily to try and live some form of a normal life. I am very lucky to be still here to share my story. " My name is Lauren Wild and I was diagnosed with Hodgkins Lymphoma when I was 13 years old. I had 4 rounds of chemotherapy and 2 months of radiotherapy. I'm now 16 and studying A levels in English Literature, Biology and Art. I have always been very creative and since my diagnosis, I fell in love with everything to do with the human body and medicine. I would love to study Biomedicine at Manchester University once I turn 18 next year. During my treatment I was always in the "teen room" funded by the Teenage Cancer Trust, in the Royal Manchester Children's Hospital where I would watch TV until 4 in the morning and talk to a few friends I had made there. It was very comforting to have a little place where I could go to whenever I wanted. A year after my treatment, it was the time for my prom. The Cinderella project helped me feel comfortable in my own skin by providing hand-tailored dresses that fit my perfectly and beautiful makeup done by Benefit. My body had (and still has) loads of funny marks and bumps in places, and because I had a dress made for me, I was able to feel comfortable in my own skin for once in my teenage years. It really helped to boost my confidence over my own body after what the treatment had done to it. I am looking forward to getting on the catwalk in support of Teenage Cancer Trust. I was a regular 11 year old, My life revolved around dancing and I spent most of my spare time learning and practising cheerleading , street , ballet and ballroom dancing and performed regularly at shows. I also spent most of my time shopping with friends and going to schoo, l little did I know this would all suddenly change. I found a lump under my left ankle which I first thought was a dance injury. I visited my doctor who diagnosed it as tendonitis and referred me for physiotherapy, but the lump then continued to grow and I started to experience a lot of pain. Soon the pain was always there - through the night and even worse when I put my shoe on. It was around a year after my initial lump appeared that I was sent to the local hospital. My mum had been demanding scans for some time, concerned about me and the pain that was increasing rapidly. The hospital first thought it was a cyst but my Mum and I thought there may be something else wrong something just felt wrong . I was sent for a second opinion at another hospital in Birmingham where they carried out a biopsy and ran a few more tests. After being home a week later the hospital called my mum on her way home from work she was told to pull over and she was told the devastating news that changed me and my family's life forever. At the age of 13 years old, I was diagnosed with Ewing's Sarcoma, a rare form of bone cancer. After that, everything began to happen really fast. I was referred to Ward 84 at the Royal Manchester Children’s Hospital, which has since become a Teenage Cancer Trust Unit, to start chemotherapy. I was so overwhelmed and didn’t understand what was going to happen. I wanted to see my friends and tell them I was ill and wasn’t going to be in school but I was rushed on to the ward before I even had a chance to think. When I arrived on the ward for the first time I was terrified when I saw a lot of children without hair. I remember being shocked and suddenly stopping before I got to the waiting room and saying to my Mum and dad, “That’s not going to happen to me is it?” I eventually did lose my hair. The fact I had cancer only hit me properly at our first meeting with the consultant and I saw my mum and dad cry whilst she was describing all the side effects. The car journey home felt like the longest ride home and we all had to stop the car and get out half way home to get air as we all felt physically sick . Two days later my treatment started . I had to have six months of chemotherapy therefor a line had to be fitted just above my chest, I was hooked up to chemotherapy for 5 days in a row every two weeks and mainly lived at the hospital in between due to temperature control After 2 weeks of treatment I went into hospital with a temperature, I fell asleep with my hair in a ponytail and when I woke up my hair was in knots that could not be brushed out I tried to wash my hair but more of it came out in the shower. In the end I got my mum to cut my hair which I was down to the bottom of my back to a really short bob but by the time I came out of the hospital that week I had lost all my hair . Some of the other side effects were also really tough such as mucositis, constant fevers , being sick and unable to walk from being so weak and thin and when having hydration with chemo I had no sleep as I had to wee every 15 minutes. After the first 6 months of chemotherapy, it became essential for me to have a below the knee amputation as it was my only chance to fight of the cancer . The fact that I was going to lose my foot didn’t seem real, it felt like a nightmare that couldn't possibly dream up until the day of my operation when I realised that I would never feel two feet on the ground again and that I may struggle to keep up with my friends never mind dance again. Despite the panic and fear, my focus was to remove the cancer and I was determined to get on with the operation and fight my illness so I could find some sense of normality again and live the teenage life I desperately wanted . After my operation, I remember waking up and looking at where my foot would have been and surprisingly feeling relieved that I no longer have a foot with a lump of cancer growing on it , I just wanted to get back to school, to my friends and to socialising like a normal teenager would do, but I still needed more chemotherapy. I was given the choice of two months of intensive chemotherapy where there was a very strong chance that I would be left infertile or I could have six months of normal chemotherapy. When I was facing cancer, the last thing I wanted to think about was infertility , but at the age of 13 I had to begin thinking of my future . I chose 6 months of chemotherapy to try to protect my fertility as much as I could as I knew one day I would want a family of my own and I did not want cancer to ruin my chances of that. Despite chemotherapy, and an amputation, my cancer had spread to my lungs which was scary as I hadn't felt any signs , I needed two weeks of radiotherapy. My treatment finished after 13 months all together. After having my first scan at the hospital after 13 months of living my life around chemotherapy and feeling sick and weak constantly and being known as " the girl with cancer " to hear that on the scan my body was clear of any cancer signs it felt unreal , I felt like they had made a mistake and like the nightmare would begin again but I then realised that what people had told me throughout the 13 months finally felt real, there was " a light at the end of the tunnel. " I finally felt a sense of control over my life and like I had let go of something that had been weighing me down forever. I can't describe how blessed I felt that I could start rebuilding a new sense of normality and see my friends again. I remember seeing other patients coming back to the ward for checkups with lots of newly grown hair while I was ill and seeing them felt so out of reach for me, but finally it was me, I was that survivor . After my treatment I had to learn to walk again with a prosthetic foot, which was really challenging. It took me quite a long time to get used to it but I was determined to get back to school and see my friends. I returned to full time education and studied towards my GCSE in dance, achieving a Grade C, which I was really proud of! Being back at school was quite weird. I am now at college studying childcare, and plan to become a travel rep to run children’s activities in holiday resorts.i still love to dance and although it does tire me out more than it used to and can cause my feet to ache more my prosthetic certainly does not stop me from dancing at parties. During my cancer treatment I stumbled across a quote that I related to a lot and that I now have painted on my bedroom wall - "life isn't about waiting for the storm to pass , it's about learning to dance in the rain" I think this quote sums up what my cancer journey was like although there was a lot of things to be negative about there were also experiences I couldn't have experienced if I hadn't had fought cancer such as my amazing wishes I was granted by charity's including meeting Justin Bieber, Bruno Mars and after my treatment was over being awarded with a trip to Florida . I also had the opportunity of meeting all the inspirational breath- taking people on Ward 84 during my treatment and at FYSOT. I received a fabulous Sherri Hill dress too from Runway on the Runway and modelled in the recent fashion show for the Maggie's Centre at the Christie. I will never be able to forget some of the bad memories but there were certainly some good ones along the way that I will cherish. I was diagnosed with Hodgkin Lymphoma in March 2016 after various visits to the doctors with different symptoms for about six months. Finally I discovered two large lumps in my neck which led to my diagnosis. I was 22 and had a 2 year old little girl. It was a massive shock as up until then I was always healthy and rarely got ill.I was treated with 6 rounds of chemotherapy on the TCT Young Oncology Unit (YOU) at the Christie which was full of amazing staff and young people. I'm not sure there is much scarier than being diagnosed with cancer at a young age but my TCT key worker nurse and staff on the YOU made the experience as easy as possible. After my chemotherapy I was thankfully told I was in remission. Teenage Cancer Trust has been amazing with help and support the whole time, from providing my key worker nurse to funding outings such as a residential spa break and a trip to the theatre in London, which means spending time with people in a similar situation who really get what you have been through. I am really looking forward to Runway on the Runway as now I feel better I think it's definitely time to give something back for all the help that I have had! In August 2012, just after my 13th birthday, I started to experience pain in my right shoulder, I didn't think much of it at first, but over the course of a few week the pain moved around my body to various joints, I lost a lot of weight very fast too. I had been to my GP lots of times as well as the local hospital who all made me feel a fraud, and said that I was “over-reacting”. My mum and dad were the only people who could see and believed the amount of pain I was in, which was hard. In Novemberthey started to treat me for juvenile arthritis, but none of the medications helped. Just after the new year, I was in so much pain that I could not walk or stand without being in severe pain and crying. The worst pain of all was the back pain, rocking back and forth with a hot water bottle at my back and a cushion at my front crying. I will never forget the look on my mums face as she rang the hospital. Not long after, I was rushed to Royal Manchester Children's Hospital, where I spent a few days having tests. By the 31st of January they insisted that I have a bone marrow biopsy the following day. When I woke up from the procedure, I knew instantly that something wasn't right, why were they checking my bone marrow? A while later my Mum told me that my dad was on his way back up to the hospital, I questioned why this was the case as he had not long left….my Mum didn't answer me. Once my Dad arrived a woman we had never met before took us into a private room. She began talking to me but I just remember going deaf as I thought to myself that something bad is about to be said but never did I ever think I would have cancer.
" I am going to say some scary words now Rachel, but I will try my best to help you" were the woman's words as she went on to tell me I had Leukaemia. Acute Lymphoblastic Leukaemia to be exact. I started my chemotherapy immediately but around a week later my consultant told my Mum and Dad she wanted to discuss my treatment. I was not responding properly to the chemotherapy designed for my age range so they wanted to put me on a more intensive treatment plan. This was where all of the complications began. I was in a wheelchair for months, my mum had to help me with everything, I felt like I was a baby again. I lost my independence, my social life and I lost my teenage days, I had to leave school although I did try to go back a number of times but became unwell each time. Losing my hair was the worst part, I ended up just shaving it. Once I did this the whole thing became real. It took me a while to even look at myself in the mirror, all my confidence was gone......... people knew me as " the girl with cancer". I finally finished treatment on the 21st of May 2015, when I rang the end of treatment bell. I sat my GCSE's around this time and was only able to sit English, Maths and science. I achieved A* A B and C despite people telling me I should take a year out. I celebrated my end of year prom and my 16th birthday not long after. I am now studying health and social care which I chose because I want to support and help other people going through similar experiences. My treatment has left me with many every day challenges but I am so grateful to be able to say that in May this year I will be celebrating my 2 years in remission. I cannot wait to be apart of Runway on the Runway, I know it will help my confidence and I will meet new people who have been through a similar experience to me. Making 'cancer friends' is something special, we support love and care for each other like a family. It all started towards the end of 2015. I'd just started my first year of college, a new start after not having a great time in high school. When I'd started college, I had more of a niche of the subjects and really enjoyed Psychology, which hadn't been offered before. I'd made loads of friends and broke out of my awkward, shy shell a bit more. A month after I started, I got increasingly tired, barely ate and started getting nose bleeds. One was so bad it lasted over half an hour and I thought it would never stop. But still, almost every day I went to college in this state, just thinking it was a virus going around at the time. That same month (in October), I met up with my best friend. She knew something was wrong. We'd been to the doctors many times about my nose bleeding and they just gave me cream for it. They said they could do a blood test in two weeks. When my grandparents came to visit, my grandma noticed my pale skin and fatigue and asked whether it could be anaemia, as it runs in the family. We called the doctors and they still told us we had to wait. My mum and I were getting frustrated at this point and she took me to A&E the next morning. I was too tired to even sit up in bed, but I did it and we went to the hospital. We expected to just get some iron tablets for anaemia, but instead found out I had acute lymphoblastic leukaemia. My haemoglobin (red blood counts) were in the 30s, the average being in the 100s. I was in complete shock. I still remember lying on the hospital bed with my sister next to me, both of us wondering why our parents were taking so long with the doctor. I had been oblivious to the fact that yes, young people do get cancer, though it had crossed my mind once. A lot of us think we're invincible and nothing can affect us, but unfortunately that's not true. It was heartbreaking telling my friends, I mostly did it on text just so that I didn't have to say it out loud. I was also diagnosed on my grandma's birthday, which wasn't ideal. When my family found out they all cried, my little sister was only 13 at the time. I, on the other hand, was just in complete shock. I asked the doctor in A&E whether I would die, that was the first thing I said when I'd heard the news. The doctor said no, but I know the answer could've been yes and I'm only now coming to terms with it, over a year later. I decided to take a year off college to cope with all the chemotherapy and treatment I was having. I was to have chemotherapy for the next two years. Although I had been cancer-free from November 2015. Losing my hair was extremely difficult, it had started falling out after my first month in hospital. They had invited a hairdresser into my room to chop my hair shorter, it had almost been to the length of my armpits. The hairdresser was saying that he didn't want to cut it too short, he thought it would be too traumatic. Although I think there were a lot more matters that were more worrying. Eventually, on the 15th December, I was allowed out of the hospital. When my support nurse (shoutout to Dave!) told me, I thought Christmas had come early. The wait for the release papers was probably the longest wait I've ever had. And that's saying something after spending almost two months in hospital. (Sorry!) It was raining when my mum wheeled me out to the car, it was amazing. After having that long inside with no fresh air it was like a miracle. When I'd got home, my mum helped me shave my head. It was a weird experience, but I'd always wondered what I'd look like bald. I had 3 more stages until I was in maintenance, so I was in the long haul. The third stage had really knocked me out I would stay in bed all the time and became increasingly weak. In March, we went to York for a few days, and I was allowed to come off the chemo for that short period. On that trip I felt alive again and couldn't wait until I finished my chemotherapy for good. As of January 2018 I will have fully finished my treatment. I'm now back at college and have been able to reconnect with old friends and make new ones. I am so thankful for where I am now and amazed by how much I've been able to handle. We are all strong, every one of us. Not just people that have been through what I have. Whatever situation you've been through and you've got through makes you stronger. We are all an army fighting against cancer and we will win. One things for certain, I can't be more thankful for the care that I've had. The trainee nurse that had been the one to guess that it was leukaemia in the first place and all the nurses, support nurses, doctors, cleaners, porters, caterers and everyone in the YOU unit at the Christie. They made me feel at home, even in a hospital, and made my days a lot more interesting than just lying in bed, telling me how their days are going and funny stories they have to share. And last but not least I would like to thank my family and friends. My aunt that came all the way from Plymouth to help my family through this very difficult time and to spend time with me in hospital. All of my high school friends coming to visit me despite how weird the situation may have been for them. My Mum and Dad for staying overnight to make sure I had someone with me at all times and felt safe. And last of all, my sister, Rebekah and my best friend, Ellie for coming so see me frequently despite having homework, and listening to my complaining and steroids-induced gibberish. I love you all more than anything and thank you for joining me on my journey, even though some of you had only known me for a few months. I'm really looking forward to Runway On The Runway. It's something I've never tried before. I think this is a great way to build confidence, have fun and show off my hair that is now growing and embrace it! In the summer of 2014 I was backpacking around south east Asia. Half way through my trip I noticed a lump on my testicle but due to me being male - I did what all males do and chose to do nothing about it and ignorantly thought it would pass. I soon realised that the lump wasn't budging. However at the time I was busy gallivanting around and having too much fun to worry. Day by day I would give myself excuses as to why I didn't need to go and get myself checked out at the hospital and how everything would be ok. Thankfully, one day, my body took over and left me with an excruciating pain in my nether regions (If felt like Roberto Carlos hit a free kick directly at my genitalia - which I'm sure most men reading this will understand the pain I was in). Fortunately. this left me with no option but to jump on the back of a locals moped and weave my way through Hanoi to a private hospital. After various back and fourths between doctors and scans I was told to wait in the waiting room for a specialist to come see me. After 30 minutes the specialist turned up. He was an old Vietnamese man who was apparently lecturing at the uni when he got a call and whizzed across the city. Upon further scans and talks, he asked me my age and then replied with "oh, you so young" to which I understood that very soon he was going to tell me something quite uncomfortable. He then told me I had testicular cancer andthat I would need to travel home immediately to have an operation. This was much to my annoyance as it scuppered the rest of my travel plans... Bloody cheek of it! The next morning I boarded the plane at 5am and endured a lonely 24 hours of travel home thinking about how my life was going to change. Fortunately I had the most wonderful surgeons and staff at various hospital locations who looked after me famously. 2 months after my flight home I was "cancer free" albeit a little bit lighter in certain areas. After the physical effects waned, I was left with a fragile mental state which took me quite a few months to get to grips with. Fortunately now I'm in a great place physically and mentally and I'm seeing my doctor every 2 months for check ups. This is keeping me on my toes and giving me those much reality checks you need when your struggling to get out of bed at 6.30 am for work.